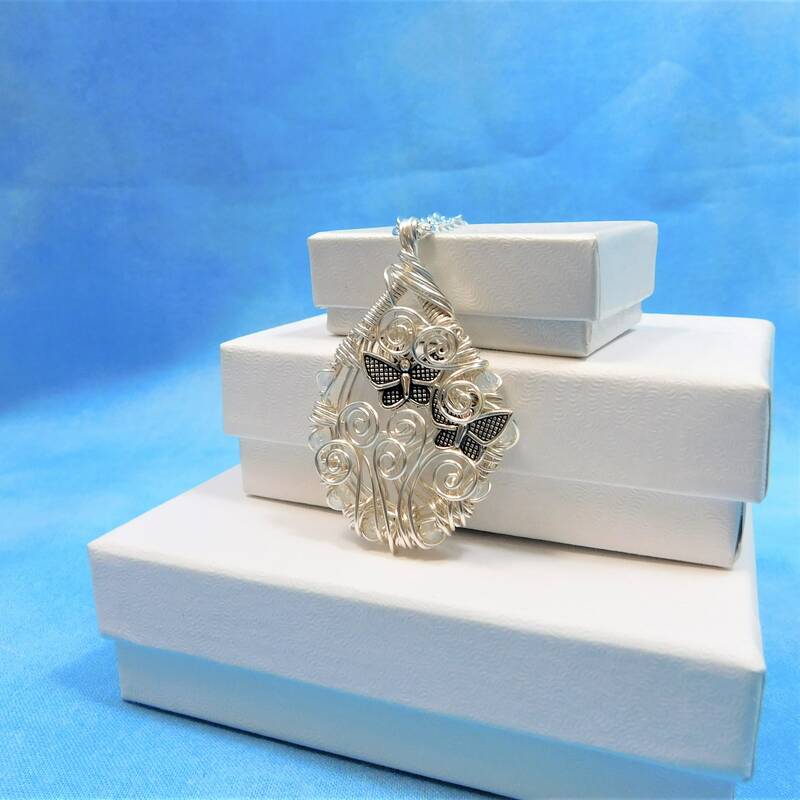 Non tarnish fine silver over copper is meticulously hand woven to frame two silver butterflies in flight. 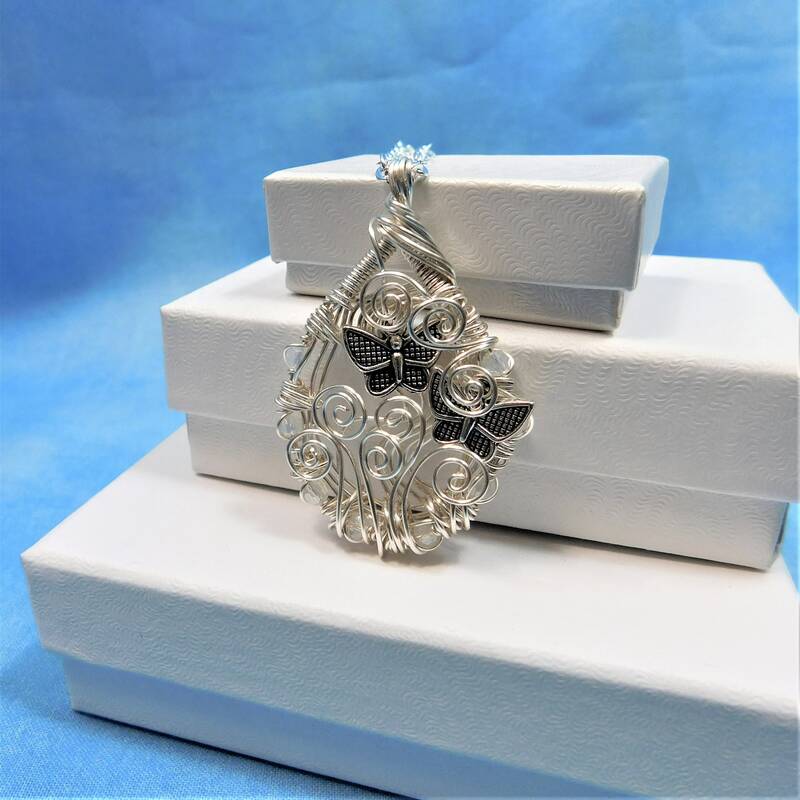 The frame has intricately integrated tiny white glass beads, creating subtle details that bring dimension to the artistic design . 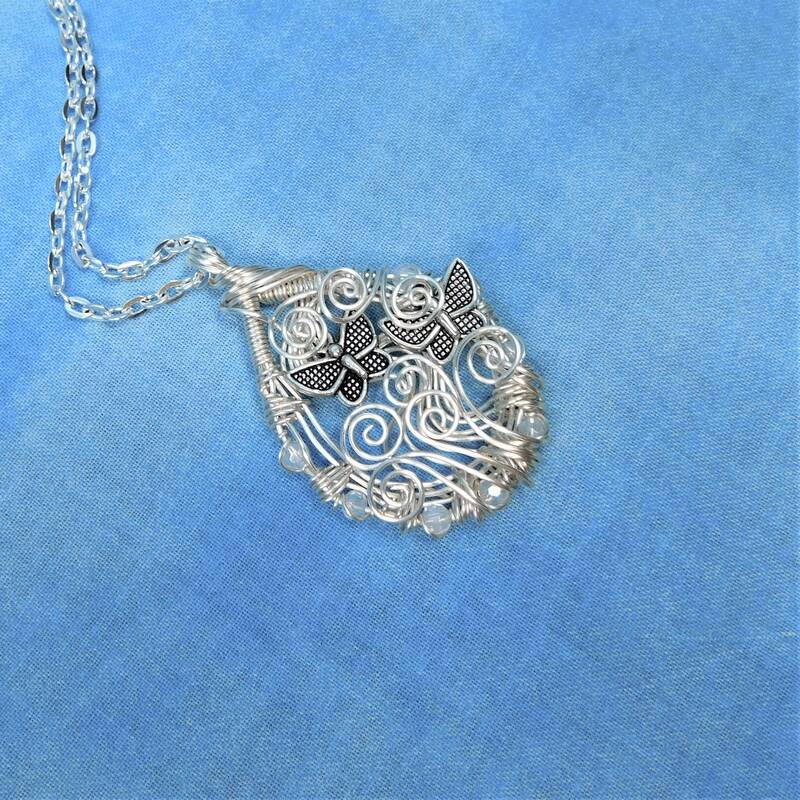 The butterflies appear to flutter among hand sculpted, silver vines. 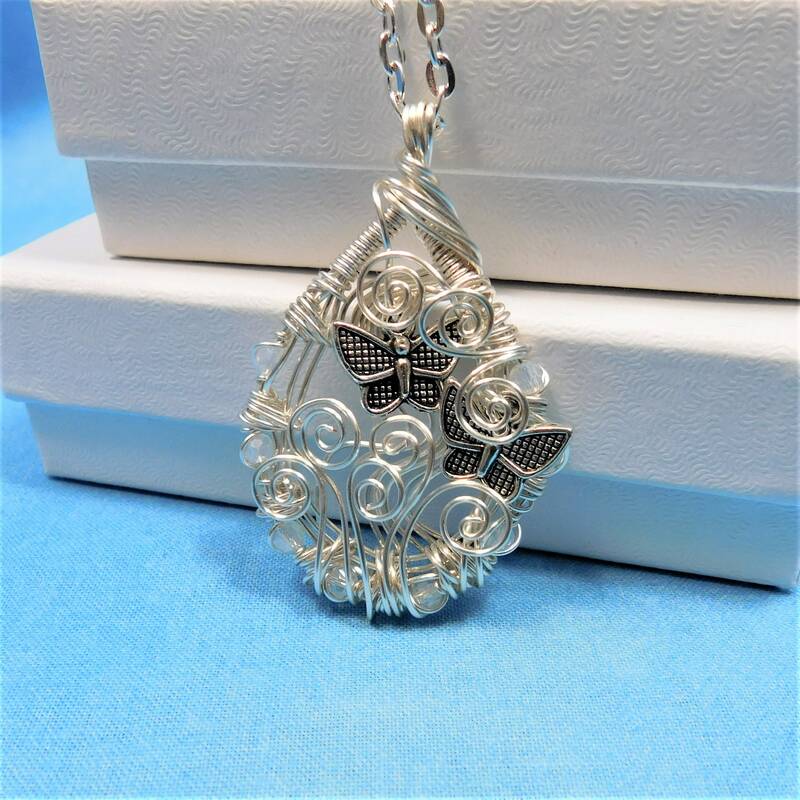 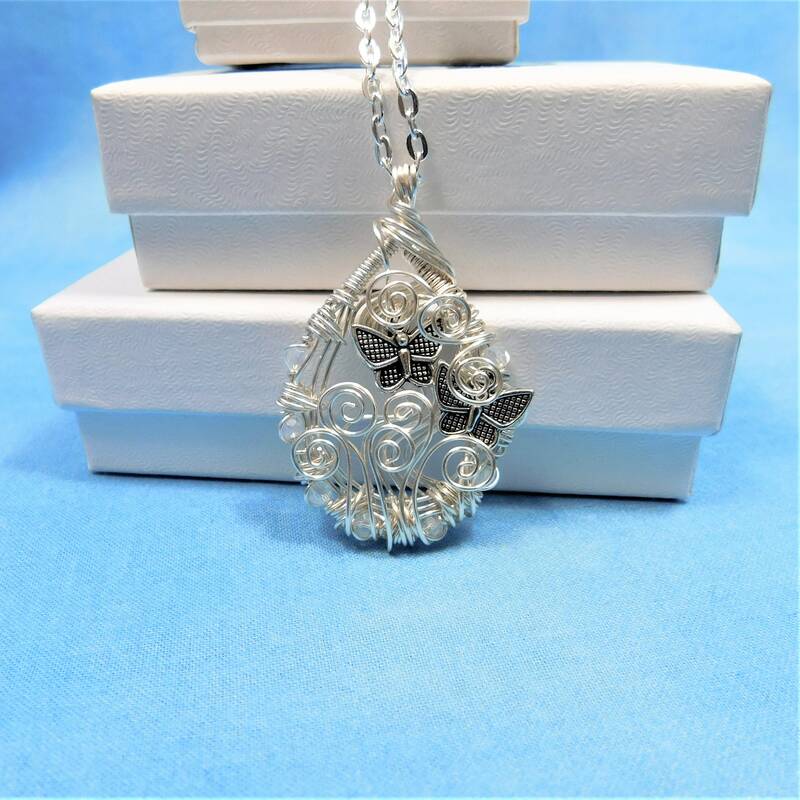 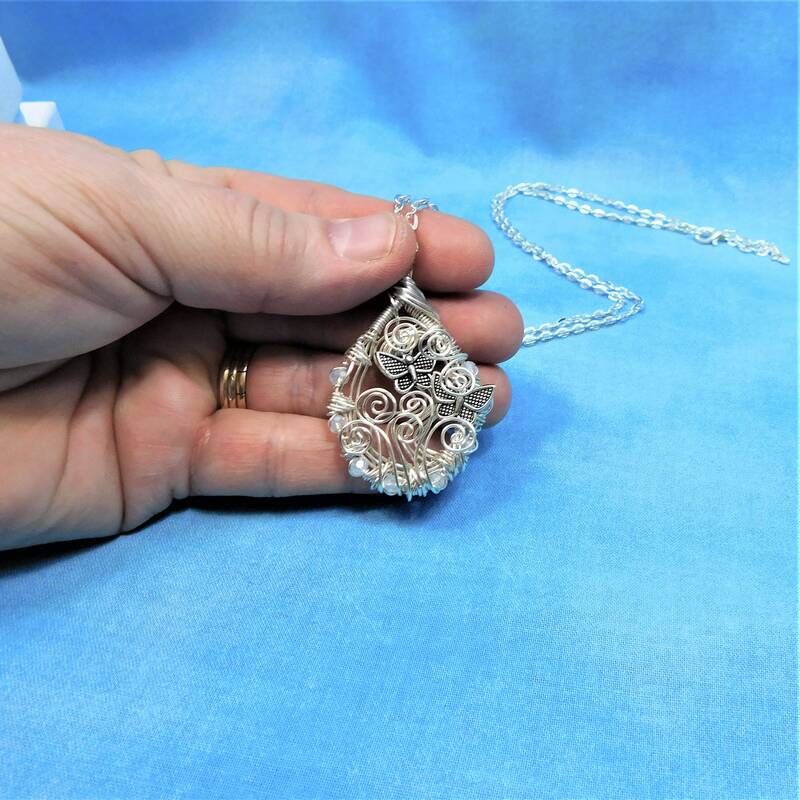 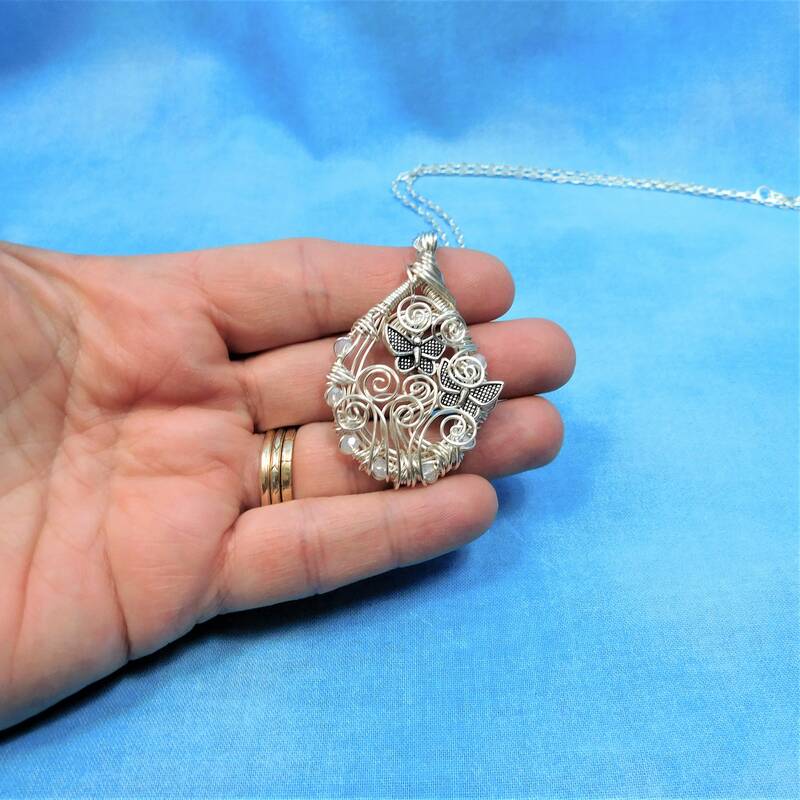 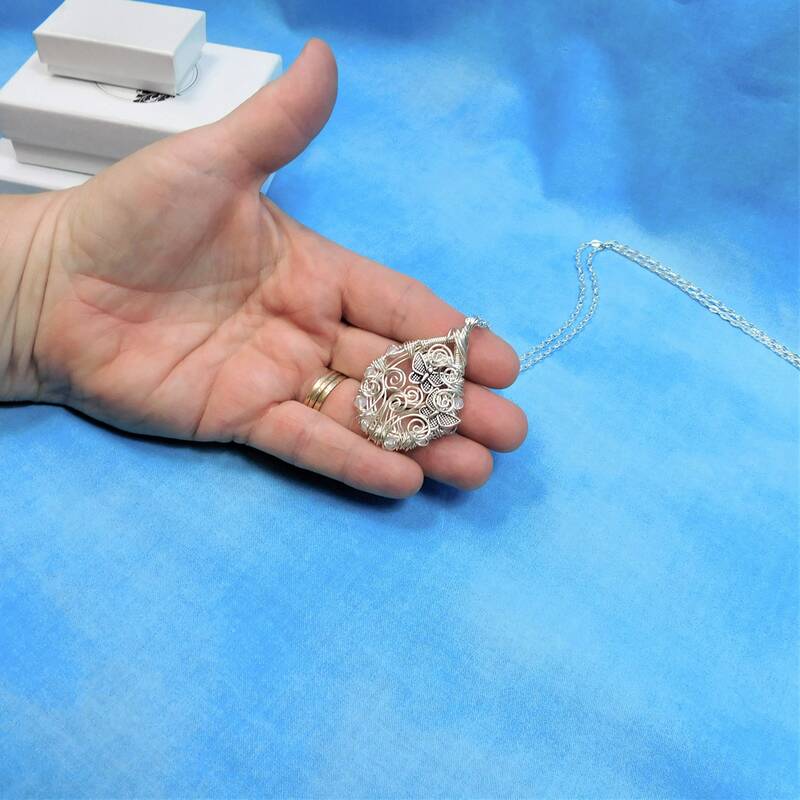 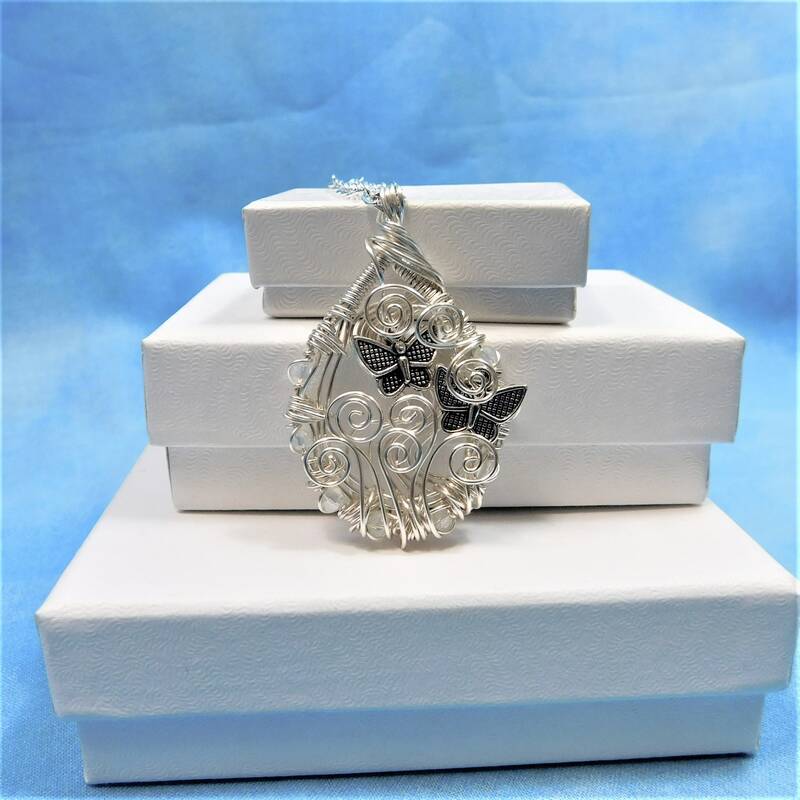 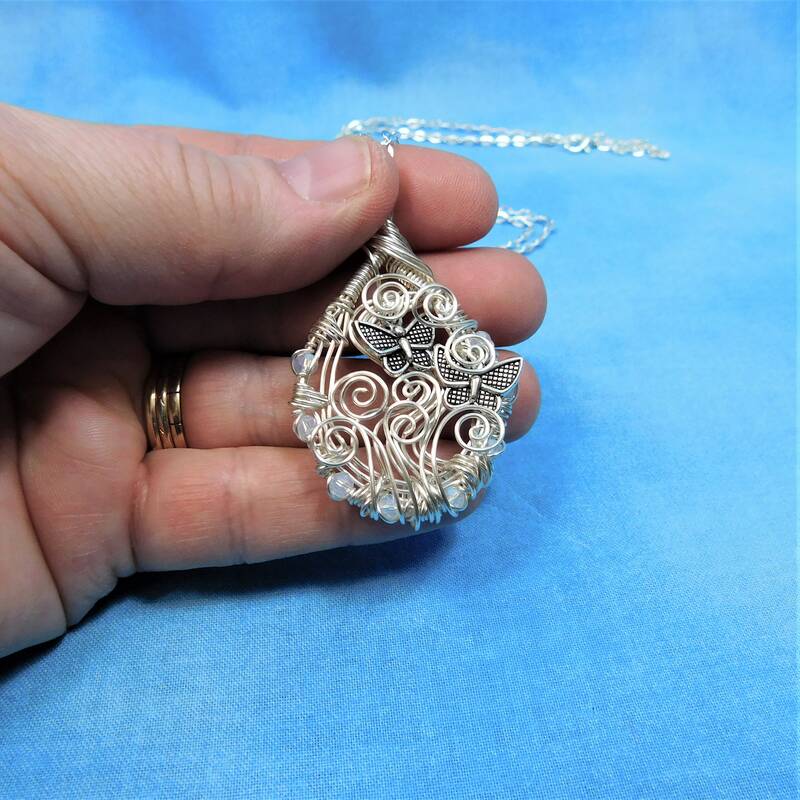 The pendant measures 1 3/4 inches by 1 1/4 inches and comes with a FREE coordinating chain with lobster claw clasp, measured to your preferred length.